Can you even believe for a moment that this live footage of the United States taking off from the moon is real? 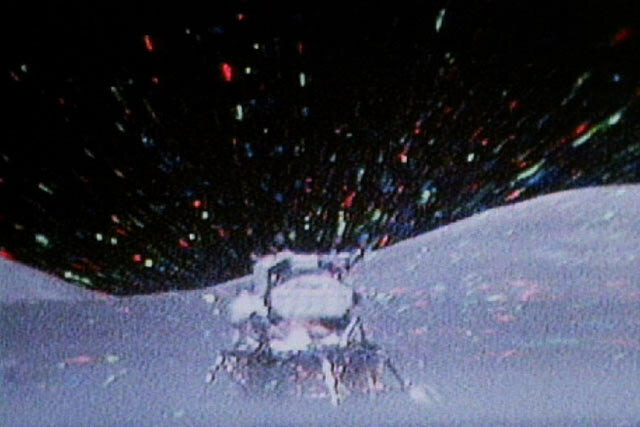 The lunar module appears to explode into a cloud of confetti and get pulled up by a string into the sky. And somehow this “robotic arm” stayed behind to film the whole thing in real time with no delay in movement. 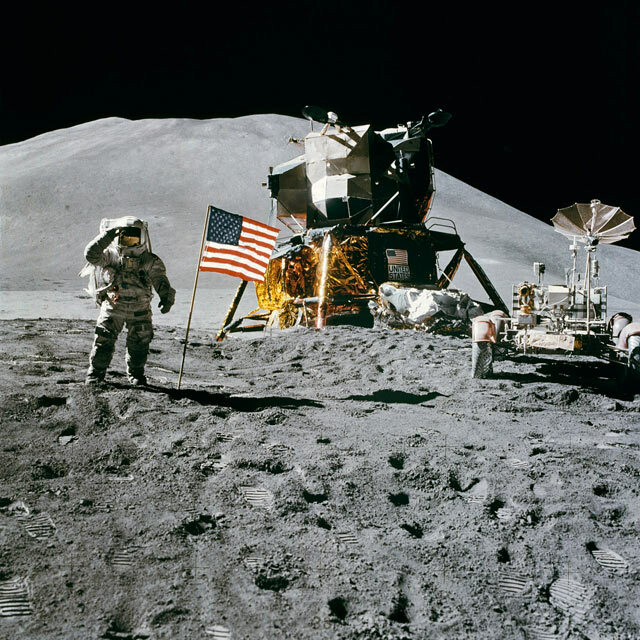 And check out this clearly fake photo of the lunar module sitting on the moons surface. Notice how extremely fake the mountain backdrop is and how the surfaces looses all depth right at the Eagle? Like it’s just a box of sand up front, a tarp and then a painted wall of a hill? And you see all these shadows up front but then not a single shadow cast by the mountain? Come on people, wake up and share this. Use the easy button below.